Do Canadians need Visa to Russia? Yes, they do. A Russian visa for the citizens of Canada can be obtained either at the embassy or a consulate, wherein it is necessary to present an invitation to do this. One must also fill in an application form and pay a consular fee. The issuing of the invitation required to obtain a visa to Russia is the responsibility of those people who live in Russia (or companies located in the Russian Federation) and who are interested in the foreign citizen’s arrival. Depending on who is in charge of the invitation issuing will depend the type of the invitation and a visa itself (tourist, private, business, work). Usually Canadian citizens don’t have any problems with obtaining the abovementioned types of visas. How to Get Russian Visa from Canada? Where to apply for a Russian visa in Canada? You can obtain a visa to Russia in any of the Consulates of the Russian Federation located in Canada. See the list of Russian Consulates in Canada, along with their phone numbers and location indicated on this page below. Citizens of Canada can obtain a tourist visa in case they are planning to enter the Russian Federation to visit different cities or for the purpose of rehabilitation at the health resorts. In this case in order to receive an invitation to obtain a visa a foreign citizen should apply to a tourist company. Only those companies which have their own reference-number can issue such invitations. This type of invitation to visit Russia for Canadians can be made within 1 working day. The outward appearance of a tourist visa is not significant. It is more important that the invitation would contain an inviting company’s reference-number and other information as well as the passport data of an invited foreign citizen. The names of the cities which a foreigner will visit should be also indicated there, as well as the hotels he/she is staying at. Furthermore, a tourist invitation issued by a tourist company should have the information on the dates of the trip and number of the entries. Single or double entry visa to Russia from Canada can be obtained by a foreign citizen for a period of up to 30 days. he/she wants to visit have to issue a guest invitation at a local department of the Federal Migration Service (the FMS) and to send it to a foreign citizen by mail. Individuals have to apply for a guest invitation to a department of the FMS at the place of their residence. If a legal entity invites a foreign citizen its representative should give in an appropriate application and issue the invitation at the department of the FMS where such legal entity was registered. The FMS will verify the information on the foreign citizen: whether he/she was brought to justice during his/her previous visits, was deported from the country, or has any unpaid fines. If a foreign citizen had any breakings of the law an invitation would not be issued for him/her by the FMS. The valid term for a guest visa to Russia for a citizen of Canada can be up to 90 days. Private visa can be single or double entry. A business visa is obtained by those foreign citizens who are planning to enter the Russian Federation to hold negotiations, extend or sign their agreements, to look for new business partners, participate in a conference or a seminar. For obtaining a business visa one has to present at the embassy a duly executed invitation (on the FMS form, on the inviting company’s letterhead or sent by telex). Only legal entities accredited at the Department of the Federal Migration Service or at the Department of the Consular Service at the Ministry for Foreign Relations of the Russian Federation should be in charge for the issuing of the invitation. The issuing of the invitation on the form of the Federal Migration Service takes some time. 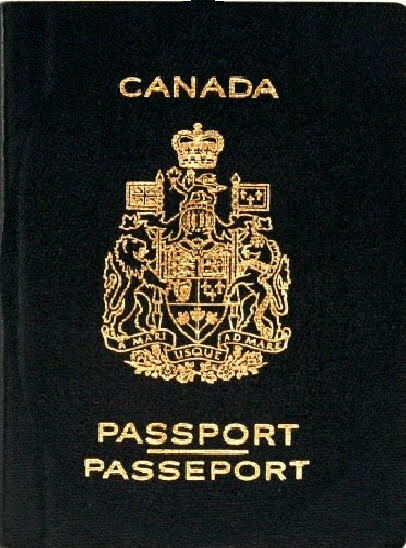 A representative of an inviting organization submits to an authorized body an application to issue an invitation for a certain foreign citizen.Such invitation will be issued only after a checkup is made to prove that the foreigner doesn’t have any criminal records, deportations from the country or unpaid fines. An invitation on the letterhead of an inviting organization can be issued only in case this organization has been accredited for that. It is a request for a consulate of the Russian Federation to issue a visa for a certain foreign citizen. The issuing of such invitation doesn’t need a lot of time: 1 day is usually enough. An invitation sent by telex – is a requirement from the Ministry for Foreign Affairs of the Russian Federation to the Embassy of the RF. With such an invitation the inviting party gives a foreign citizen the number which he/she should quote when applying for a visa at the embassy. A citizen of Canada can obtain a business visa for a period of up to 5 years. A citizen of Canada can obtain a work visa only in case he/she has an invitation to the Russian Federation. Such invitation allowing him/her to have a work visa will be given only if a Canadian citizen has a special permit to work in the Russian Federation or in case he/she is an employee of a foreign representative office. A citizen of Canada when applying for a work visa can count on the assistance of his/her employer (without that help it would be very difficult to obtain this type of a visa). After arriving to Russia a citizen of Canada has to be registered at the migration service. When applying for a work visa a citizen of Canada has to receive a work permit and to have an invitation issued afterwards in order to obtain a visa. Visa would be initially given for 90 days. A foreign citizen should enter Russia and be registered at the migration service, after which he/she will need to extend the visa for the full term of the work permit. Then a foreign citizen will be registered at the migration service till the end of the visa period.